For financial institutions, executing the move away from the interest rate benchmark, LIBOR, to alternative interest reference rates (e.g. SONIA, SARON) is a colossal exercise. It requires them to structurally revisit everything from their products and accounting strategies and tactics through to their risk models and valuations – to make the necessary amendments. Below, Peter Wallqvist, Vice President of Strategy at iManage RAVN, explores why a human-supported adoption of AI technology offers the safest and soundest solution to amending LIBOR contracts. Perhaps the biggest challenge lies in financial institutions’ ability to identify and quantify the contracts that need to be transitioned from LIBOR to alternative reference rates – within the existing remit of these documents. Despite financial institutions using reporting tools to capture contract-related data, typically nearly 80% of information is unstructured and locked up in documents. There is no searchable metadata for easy extraction. So, in the absence of visibility of the contract landscape, determining the volume of contracts that require repapering across the portfolio for LIBOR is an enormous undertaking. With the problem quantified, financial institutions then must identify the relationships that are impacted. For instance, which of those contracts have fall-back provisions, which agreements will require renegotiations and, if so, what the amendment process will be, and so on. There are substantial financial risks to institutions if contracts are not accurately amended. A manual approach to such as a project is realistically not an option. Not only will the legal fees be exorbitant, but completing the transition in time is almost impossible given the vast expanse of the contracts landscape in financial institutions. Even conservatively, financial institutions are looking at legal costs in the region of millions of Pounds for a LIBOR repapering undertaking. The traditional approach towards this repapering project is to ask the financial institutions’ panel law firms to undertake the entire exercise – from identifying the contracts that need repapering through to undertaking the individual tasks for successful completion. Even conservatively, financial institutions are looking at legal costs in the region of millions of Pounds for a LIBOR repapering undertaking. With the aid of technology, the LIBOR contracts repapering exercise is achievable. By adopting practical Artificial Intelligence (AI) techniques, financial institutions can undertake this project safely, accurately, cost-effectively and in a timely manner. Foremost, the key to any AI project is the digitisation of contracts. Making the data machine-readable, means that important information becomes searchable and ready for the application of machine learning techniques, to automate the identification and extraction of key data to be triaged and interpreted, as necessary. AI can deliver a structured methodology to manage the process, end to end. Institutions can then train their application to extract the contractual information in a format that is machine-readable and easily consumable through existing reporting tools. This scenario represents the ideal human-machine partnership. The technology will automate the tedious and time-consuming manual cognitive processes that are economically unfeasible or even impossible to complete in the current timescale – all the while supported and guided via human intervention and oversight. To elaborate, financial institutions can use different data points to determine the scope of their repapering exercise. A search for contracts using the ‘termination date’ data point, within minutes, lists all the contracts expiring before 2021, which the institution can disregard, and focus on the remaining contracts that require attention. Making the data machine-readable, means that important information becomes searchable and ready for the application of machine learning techniques, to automate the identification and extraction of key data to be triaged and interpreted, as necessary. For the contracts continuing past 2021, AI technology can be taught by humans to read, extract and interpret other critical business information and apply ‘decision tree’ logic to support the repapering effort. This will result in automation where needed. To illustrate, an AI system can be taught to identify whether the contract contains a reference to LIBOR. For the contracts where the interest rate is based on LIBOR, the AI application will automatically ask if there is a fall-back provision in the contract for situations where LIBOR is unavailable. For contracts where a fall-back provision exists, the application will interrogate the relevant documents to see if the stipulation is broad enough to deal with the permanent discontinuation of LIBOR as an industry standard or limited to something temporary – such as a computer glitch rendering unavailable the Reuters screens on which the rates are displayed. Assuming at that point, the fall-backs are neither sufficiently broad nor specific to cater for LIBOR replacement, then clearly an amendment is required. In such instances, the system will mechanically highlight and classify the change process that is needed to be followed – i.e. the need for unilateral or multi-lateral renegotiation, voting processes (e.g. for syndicated lending where decisions are made pursuant to different voting thresholds being met), in what timeframe, whether there is a ‘snooze you lose’ period after which the contract parties’ agreed benchmark position will automatically apply, and so on. It’s worth highlighting that digitising and teaching a machine learning system to extract many of these data points for LIBOR will also prepare financial institutions to efficiently manage similar projects in the future too. They will be able to re-use the same machine learning models for new purposes – for example, to extract covenants for commercial comparison to expedite drafting and negotiation or better understand ‘what’s market’ down to the wording of a provision. 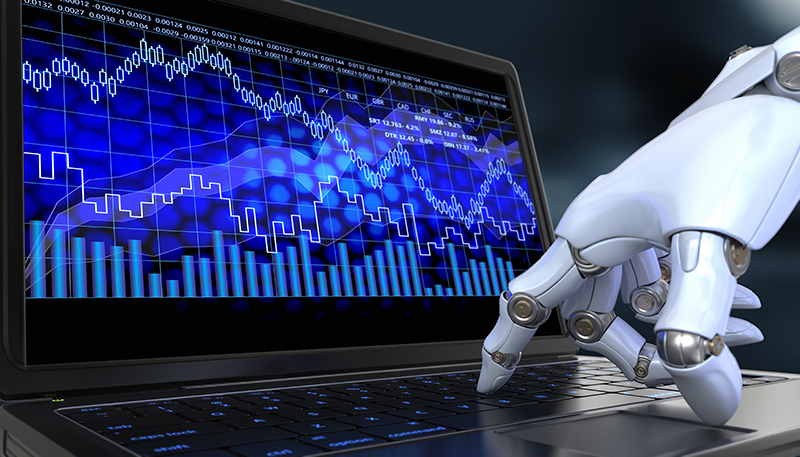 A human-supported adoption of AI technology, by far offers the safest and soundest solution to amending the LIBOR contracts to meet the 2021 deadline.